Always looking for ways to use our zucchini, I searched the web for a good chocolate zucchini cookie. After checking four or five sites I discovered the Crazy for Crust blog and tried their recipe….oh yeah….that’s a good cookie! Oatmeal, zucchini, great taste….what else do you need in a cookie? The zucchini is hidden so kids will love them and the oatmeal adds a good “healthy” factor! 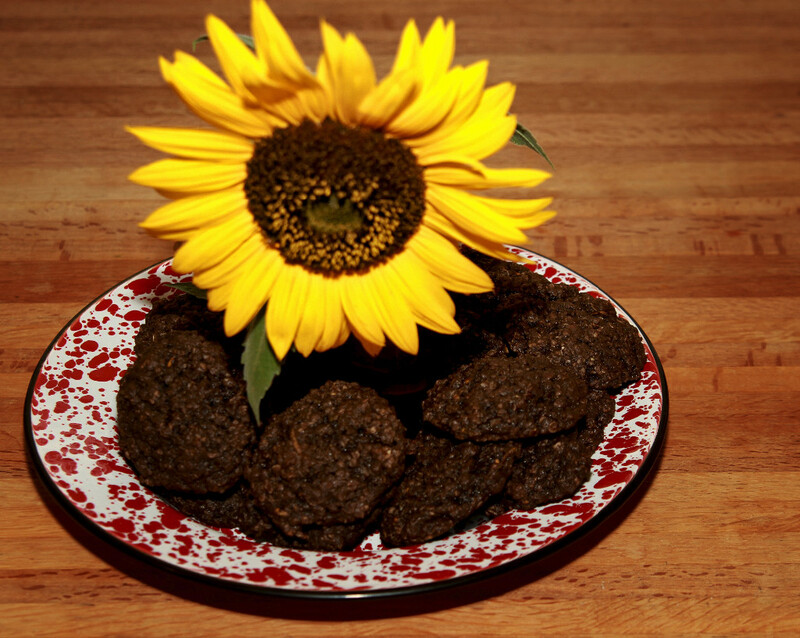 Here’s the recipe: http://www.crazyforcrust.com/2011/08/chocolate-oatmeal-zucchini-cookies/ . I made them to take to work on a particularly stressful day since we all know cookies relieve stress….right?! Enjoy! Sherry made it yesterday…..Yum, Yum!! I ate lots and we shared it with Diana. She said Dan,Jadon, Kaci and she loved it I also gave a copy of your recepie for Oatmeal chocolate cookies to a neighbor who was very happy to get it. Oh Good! I’m glad you guys liked it! We love it and it’s always fun to take to work! I thought that zucchini in cookies was a great idea…had to share!